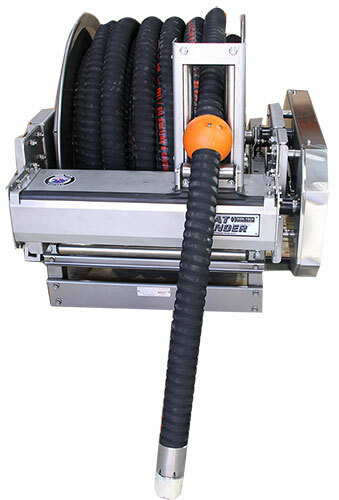 Flat-Winder™ is an automatic hose layering technology that is readily adapted to any reel for efficient easy layering of hose during storage. 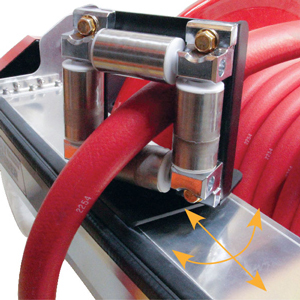 To minimise injuries, reduce hose damage and increase productivity. Typically to rewind hose onto a hose reel, a person is required to help guide the hose back onto the reel to ensure a neat wrap is achieved. The neat wrap helps ensure that the maximum amount of hose can be stored. This means that when long lengths of hose are to be stored on the hose reel, at least two operators are required to rewind the hose back onto the hose reel. As many operations are looking at minimising personnel in the tasks, removing one of the tasks was looked at. 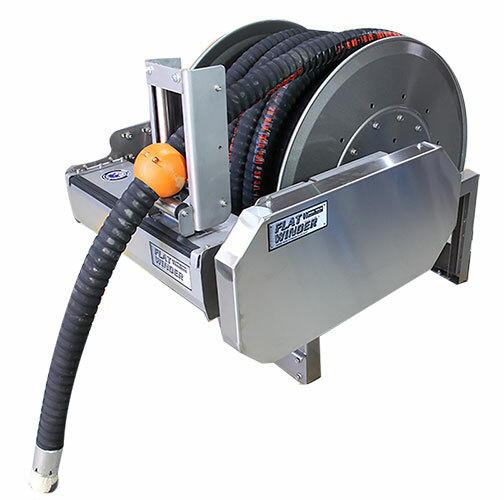 Enter, the Flat-Winder™, a device engineered to guide the hose neatly backed onto the spool of the reel; the system ensures that the maximum hose length capacity can be stored in the most space-saving fashion without any human error or intervention. 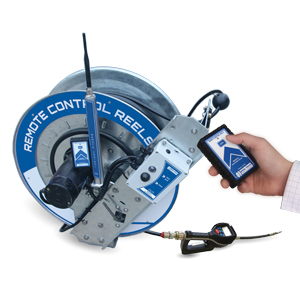 Accommodating the increasing need to access a hose remotely, a Flat-Winder™ system capable of being controlled remotely an optional progress available to make hose reel needs easier. Accommodating the increasing need to use a hose reel amongst the rigours of seaside use, a fully functioning corrosion resistant Flat-Winder™ unit has been engineered to accommodate. 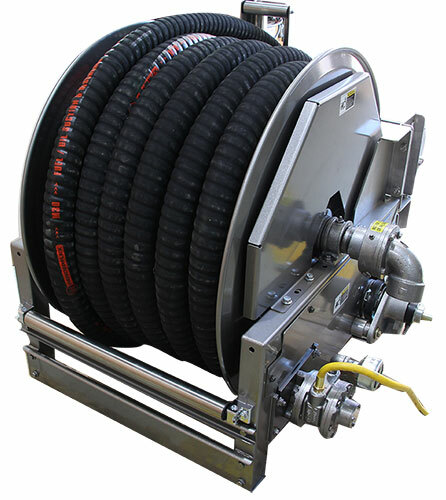 Broadening reel horizons onto unconventional areas, Reel Tech engineered a fully functioning Flat-Winder™ capable of controlling multiple kilometres of cable, whilst maintaining the maximum space saving premise. 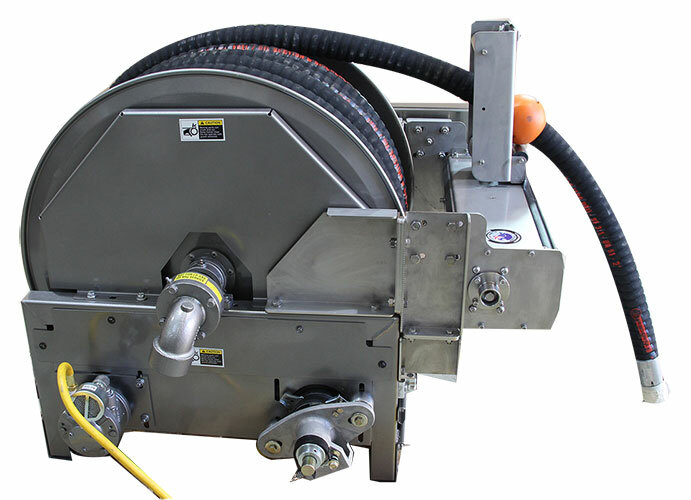 Venturing into the typically unforgiving environments of sewage reel applications, Reel Tech provided a custom engineered solution to strengthen to Flat-Winder™ unit to the level of robustness demanded, this fully functioning Flat-Winder™ maintained the premise of maximum space saving. Townsville Concrete Cleaning posted the video below showing our Flat Winder™ level wind and remote control hose reel systems effectively and efficiently cleaning concrete in Townsville, Australia. 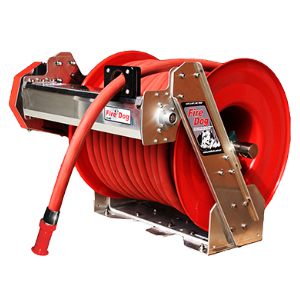 If you have a different hose storage application, speak to the hose reel solution experts. Thanks to the professional team at TCC for their permission to use this video.